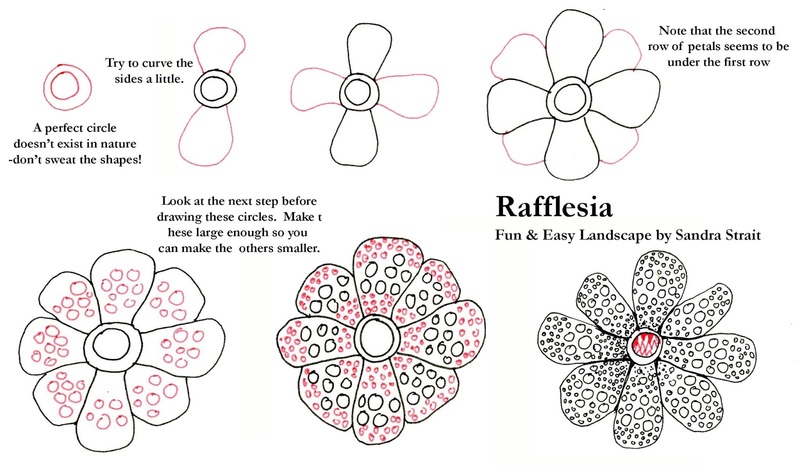 The Friday Fun & Easy Challenge for 1/5/18 – 1/11/18 is to draw a landscape using the Rafflesia step-out. Calorie-free brownie points for also using the chick step-out. 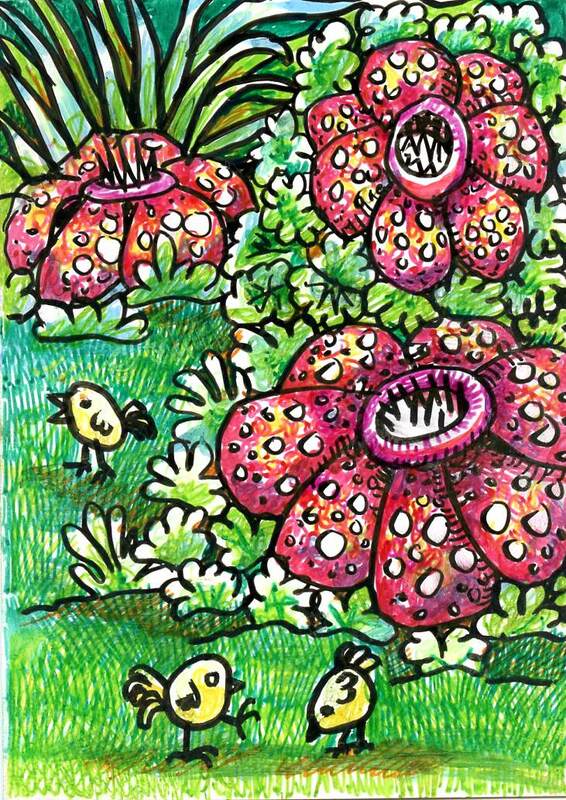 The Rafflesia flower is a large, red, spotted flower with an unfortunate smell that has led to the nickname ‘corpse flower’. In my Fun & Easy Ladscapes, these flowers can be any color and they smell like pickles! What do they smell like in yours? Example drawn with Zebra Pen Zensations Brush Pen and colored with Zebra Pen Sarasa Fineliners.